I took this photo on the first really beautiful June Saturday when the lawn was done, the cabins were clean and we were ready for guests! 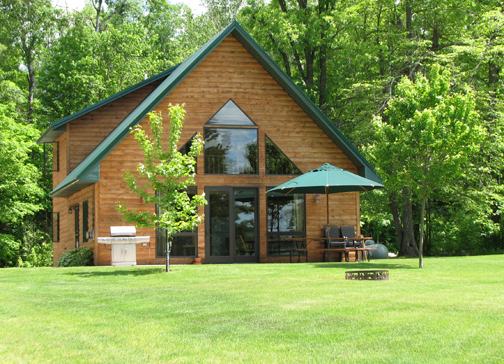 Our summer season is off to a wonderful start. Although there have been a lot of overcast days we’ve still had nice afternoons to play on the beach and, of course, we have seen some big fish already! This week is the first week this season that we have been really busy. 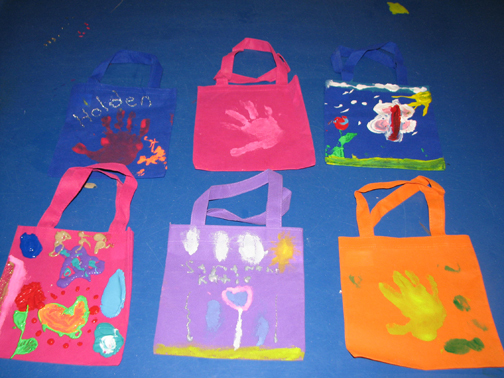 Our Activities Coordinator came out and made cute little bags with the kids that they can take home for keepsakes. You have to love Puff Paint! 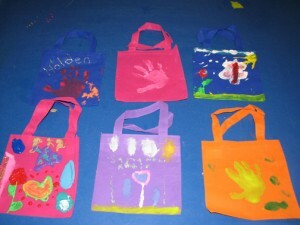 Our kids’ activities will be held each Monday morning and Wednesday afternoon. We’re so glad to have our friend, Krista Sjostrand, back this summer to head up our kids’ program! We’ve seen some nice ones already including this 3lb 8 oz keeper! 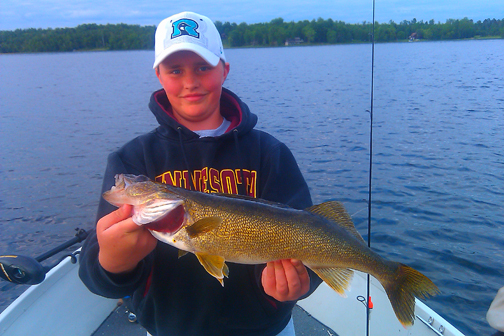 The big catch so far this year is a 5 lb 10.5 oz. walleye, a 4lb 8 oz largemouth bass and a 1lb 3 oz. bluegill. 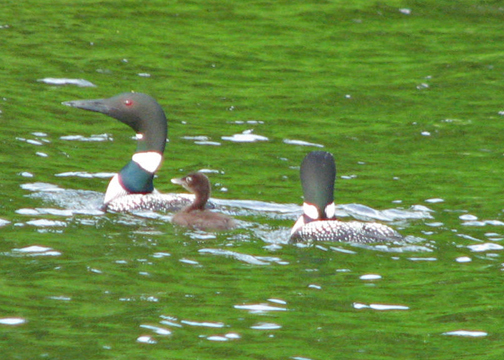 The Mayfly hatch has come and gone and lake temperatures were hovering around 70 degrees (at the surface) but the rain this week has probably brought that down in the lower 60s again. Fishing has still been fairly consistent this week since the diehards in camp this week haven’t let a little rain keep them off the lake. We’re looking forward to some sun tomorrow! We’re so glad to have you following along with our blog! Until next time…. 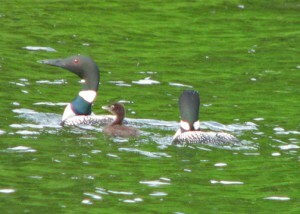 We snapped this photo of a Loon family out for a swim while touring the lake last week. Our “neighbors” have two in the nest this year. 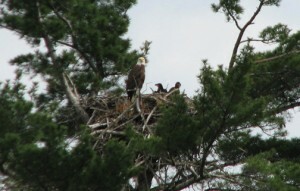 We LOVE watching this family of bald eagle all summer!